From today's utility giants or Fortune 100 companies, to local electrical municipals, an effective energy management and power monitoring program is critical to success. The Nexus® 1500 meter is the most advanced monitoring product on the market today, providing you with the total picture of energy usage and power quality from any metered point in a power distribution network, allowing you to make power related decisions quickly and effectively. Extensive Load Profiling: log virtually unlimited historical trending. Transformer Loss and Line Loss Compensation: for both iron and copper and total substation losses. Load Aggregation/Universal Metering: pulse inputs can be used to aggregate or accumulate different loads; utility products such as gas and water can also be accumulated. Time of Use Capability: bi-directional consumption and demand; 20 year calendar. Max/Min Integration and Recording: time-stamped max and min values for all measured readings. Coincidental Readings: identify number of capacitors needed, peak inefficiencies, etc. Password Protection Prevents Unauthorized Tampering: User programmable passwords. Predicted Demand: The meter uses rate of change to predict the peak demand of the next demand interval. Perfect for proactive load shedding. EIG's patented Accu-Measure™ Auto-calibration technology allows a field-mounted metering device to achieve precision accuracy and maintain the accuracy over temperature and time. This technique is unique to EIG and consists of precise measurement technology and high precision internal reference standards. 8 Independent High-Speed 16-Bit A/D Converters. 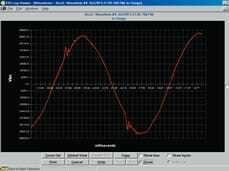 Internal Reference for periodic Auto-calibration. Internal temperature sensor to sense deviations in instrument temperature. Designed to allow for repeatable and consistent energy measurement results. Improves repeatability, reducing meter settling time. Relies on precision internal DC references to maintain accuracy. * Note: Readings are in percent of reading where applicable (more accurate standard), not in percent of full scale (less accurate standard). EIG's Nexus® 1500 meter is one of the industry's premier fault and voltage disturbance recorders. This instrument captures a comprehensive picture history of voltage reliability and power quality events within mass memory for detailed and extensive forensic engineering analysis. Record up to 1024 samples per cycle consisting of transient captures at over 166,000 samples per cycle. 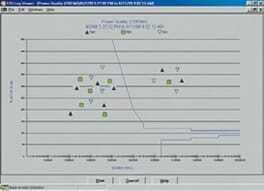 Voltage and current recording with pre and post-event analysis. Fault recording offers 8 times full scale capture capability. 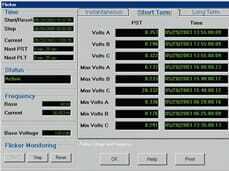 16 bit A/D converter provides precise waveform resolution. Both hardware and software triggers available. View harmonic magnitudes to 512th order for each voltage and current channel. Real time harmonic magnitudes are resolved to the 128th order. 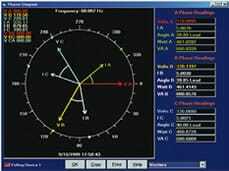 Conduct power quality analysis at the high end of the harmonic magnitude spectrum. Waveforms are recorded at time of status change. Input change and waveform recording are time-stamped to a 1 msec resolution. The Nexus® 1500 meter includes vast amounts of memory. A user partitions this memory for log storage by setting up both the number of logs and the number of parameters per log. 8 independent historical logs with up to 64 parameters per log are available. With such extensive memory, the meter will log for years. The unit offers an independent out of limit log. This allows a user to download out of limit information to obtain a sequence of events for any occurrence. 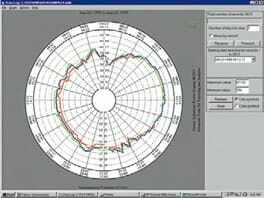 Utilizing the 1msec clock resolution, the logs can be combined with different metered points throughout a distribution system to provide an accurate system-wide depiction of a power disturbance. The Nexus® 1500 meter records waveforms with a resolution of up to 1024 samples per cycle. The amount of waveform recording is based on the amount of memory installed. The unit records the waveform when a value goes out of limit and when the value returns to normal. All information is time-stamped to the nearest 1msec. 8 on-board High-Speed Inputs can be tied to the waveform recording. The unit can be programmed to take more than one recording every time an event occurs. 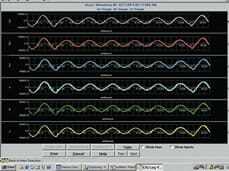 Thousands of cycles can be recorded per event. The Nexus® 1500 meter stores a separate CBEMA log that records magnitude and duration of voltage and current surges and sags for every power quality event. This allows the user to conduct real time CBEMA analysis without downloading all stored waveforms. 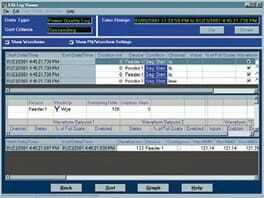 The separate CBEMA log also allows the unit to provide a more comprehensive picture of power quality over time. This log allows the user to record when the internal inputs change status. 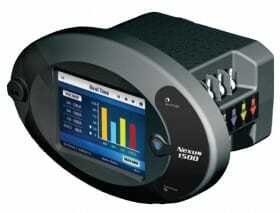 The Nexus® 1500 meter utilizes uploadable flash memory technology on all processors and DSPs located in the unit. This insures that the unit can be upgraded without removing it from service. The 1500 can log waveform, utilizing its programmable memory for all surges, sags and transients within the scope of what it sees. Thousands of events can be logged with resolution up to 1024 samples per cycle and transients at 10MHz resolution. A user can custom define log sizes within the meter. Thus the full memory can be allocated specifically to the desired function. If internally wetted, the meter supplies the necessary voltage for the control application. Obtain the freq, magnitude, and phase angle on both sides of a switch, or between generator and bus voltage for synch schemes. Separate MAC address and configuration for each Ethernet port. Programmable secondary scale allows users to maximize 16 bit analog input resolution precisely around the desired parameters providing enhanced resolution to SCADA. Rapid Response™ 10/100BaseT Ethernet allows for 8 simultaneous connections of Ethernet Modbus TCP protocol. Two sockets for DNP 3.0 protocol are also available. 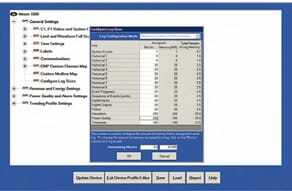 Rapid Response™ technology insures that the Nexus® meter is optimized to download data as quickly as possible. Utilizing a novel Modbus TCP approach, the meter will download up to 20 times faster than existing Nexus® 125X Series meters. No long wait time to retrieve data. Note: The Nexus® 1500 meter provides one I/O slot for the 485P (Slot 1), and two I/O slots for the 6RO1 and 16DI1 (Slots 3 and 4). Ordering: Up to 4 Analog Output modules for each Nexus® 1500 meter. Ordering: 1 module in addition to internal modules. Ordering: Up to 4 modules per meter. PSIO: Required for using an Output module and must be ordered with the module. The Nexus® 1500 does not have internal power for Output modules. MBIO: Mounting bracket for Output modules. Must be ordered with Output module. Do you want to buy high quality Power meters? 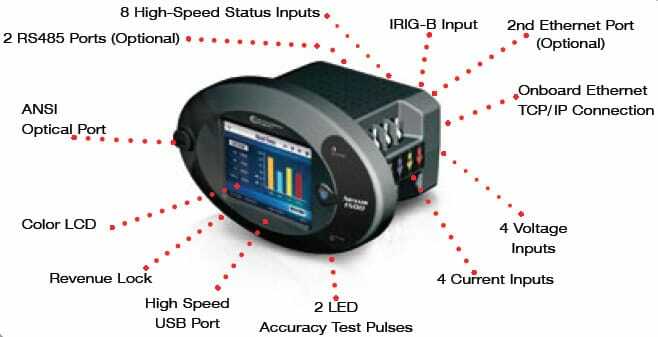 Inquire for our Power meters prices.